Only Ethereum is acceptable for PlayCoin Token Sale. There is two-transfer method to transfer Ethereum. 1. Transfer Ethereum from exchange to My-Ethereum wallet. 2. Transfer Ethereum in My-Ethereum wallet to PlayCoin e-wallet. If you would like to participate Token Sale with Bitcoin. Please contact us (ico@playcoin.game). – Click “JOIN” button on right-hand corner of the webpage. – Register with your valid e-mail. * Valid e-mail will be used for account verification. – After clicked the URL on your e-mail, the verification is completed, and move to “My Page”. 5. Log in is completed, this is My Page. Date is set with end of Pre-Token Sale time. Before further, go to USERPROFILE; you must enter your personal information and complete verification with your cell phone. 6. After entering your personal information, you may participate in Token Sale. – Go to “Wallet” button on the left. You will see “My Wallet” section; this is where you enter your Ethereum wallet address. In other words, enter My-Ethereum wallet address when you transfer Ethereum from My-Ethereum to PlayCoin Token Sale e-wallet. – Go to the link “My Remittance account address. It will show e-wallet address for PlayCoin Token Sale. Your e-wallet address will be sent to your e-mail. E-wallet address is different for every individual. DO NOT LOSE your e-wallet address. You may archive e-mail for your e-wallet address. 9. Go to https://www.myetherwallet.com/, and transfer Ethereum. For more detail, please check posting below. – To check your transaction, you may confirm on ”https://etherscan.io/. 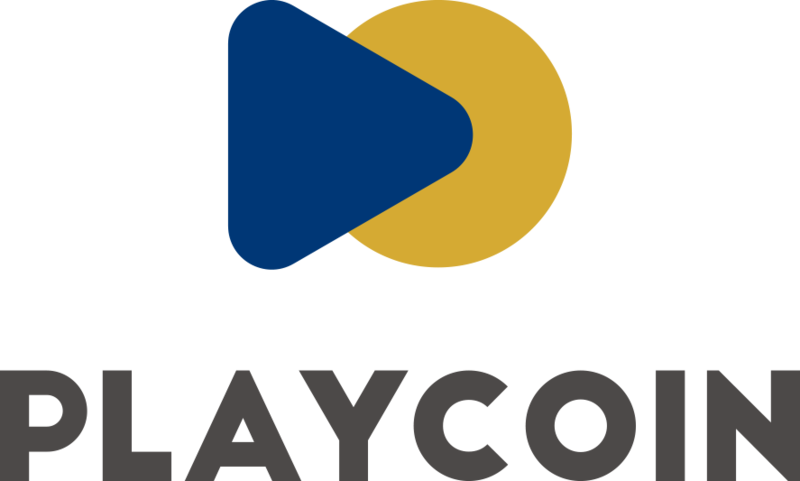 Any question or concern, please contact ico@playcoin.game. 그럼 이제부터Token Sale 참여하는 방법을 알려드리겠습니다. 그리고 플레이코인 (PlayCoin)의Token Sale 는 이더리움만 받는다고 합니다. 그리고 이더리움을 받는 방법은 가상화폐거래소에서 직접 전송하는 방식이 아닌 가상화폐거래소에서 마이이더월렛 으로 이더리움을 보낸 뒤 마이이더월렛에서 플레이코인 전자지갑으로 이더리움을 전송하는 방식입니다. 그럼 이제부터 플레이코인 Token Sale 참여방법에 대하여 설명 드리겠습니다. 1. 우선 홈페이지에 접속 ( https://playcoin.game/home/_skr) 후 중앙에 있는 “Token Sale 참여하기” 부분을 클릭하여 간단하게 회원가입을 합니다. 회원가입시 이메일주소가 필요합니다. 가입하신 이메일로 회원인증 메일을 보내게 됩니다. 2. 회원가입후 가입한 이메일로 본인인증 메일이 전달됩니다. 그림 아래와 같이 인증하는 URL 주소를 클릭하시면 인증이 완료되고 마이페이지로 이동됩니다. 이메일인증은 Token Sale참여에 필수사항은 아닙니다. 바로 로그인하시면 됩니다. 3. 이제 Token Sale 참여를 위해서 , 아래 화면이 나오고 이제 로그인을 클릭하시면 됩니다. 4. 이제 최종적으로 인증을 마쳤으므로, 홈페이지에 로그인하고 마이페이지로 이동하겠습니다. 이메일주소와 패스워드를 확인후 Login 버튼 클릭. 5. 이제 본격적으로 로그인이 되어서 My Page 로 이동이 됬습니다. 이제 Pre-Token Sale 가 끝나는 날을 기준으로 날짜가 셋팅되어있네요 . 그전에 먼저 “USERPROFILE “ 으로 가서 개인정보를 입력후 이메일 인증을 확인합니다. 이과정은 Token Sale 참여하는데 필수 과정은 아니지만 본인정보를 입력하는 곳이니 입력해두시면 향후에 KYC 확인시 좋습니다. 바로 ” Token Sale 참여하기 “로 가셔도 문제없습니다. USER PROFILE 은 추후에 입력해도 됩니다. 6. 이제 개인정보를 입력하셨으면 본격적으로 Token Sale 에 참여하시면 됩니다. 그럼 Token Sale 청약에 참여 하실 수 있습니다. “WALLET”을 클릭하면 아래 화면처럼 step1 “MY Wallet “ 부분이 있습니다. 여기에는 청약하실분이 보내실 이더리움지갑 주소를 입력하는 곳입니다. 즉, 마이이더월렛에서 플레이코인 Token Sale 전자지갑으로 보낼경우, 마이이더월렛의 전자지갑주소를 복사해서 아래에 붙여넣기를 합니다. 만일 가상화폐거래소인 UPBIT 나 빗썸에서 보내실경우 본인의 거래소 이더리움 지갑 주소를 붙여 주시면 됩니다. 그다음에 STEP2 “Your New Wallet for PlayCoin Token Sale “ 에 아래에 PlayCoin Token Sale 전용 전자지갑 주소가 보여집니다. 그리고, 이메일로도 전자지갑 주소가 보내 지게 됩니다. 이주소로 이더리움을 전송하시면 Token Sale 청약은 끝입니다. 8. 이제 최종적으로 UPBIT 에 가서 로그인후 이더리움 입출금 에서 출금신청을 누르시고 출금주소에 본인의 PlayCoin Token Sale 전용전자지급 주소를 복사하여 붙여넣은다음 입금할 이더리움 수량을 적은후에 전송하시면 청약은 끝입니다. 9. 마이이더월렛 https://www.myetherwallet.com/ 에 접속하여 이더리움을 전송하면 됩니다. 마이이더월렛에서 전송할때 아래 “ To Address “ 부분에 위 8번 플레이코인 Token Sale 전자지갑주소인 “ My remittance account address “ 에 있는 전자지갑주소 (또는 이메일로 전송된 전자지갑주소 ) 를 복사하여 붙여넣기 한후 청약할 이더리움을 적고 맨하단에 “ Generate Transaction “을 클릭하면 모두 끝입니다. 잘 전송이 됬는지 확인은 https://etherscan.io/ 에서 확인하시면 됩니다.